ERCP is a procedure that enables your surgeon to examine the pancreatic and bile ducts. A bendable, lighted tube (endoscope) about the thickness of your index finger is placed through your mouth and into your stomach and top part of the small intestine (duodenum). 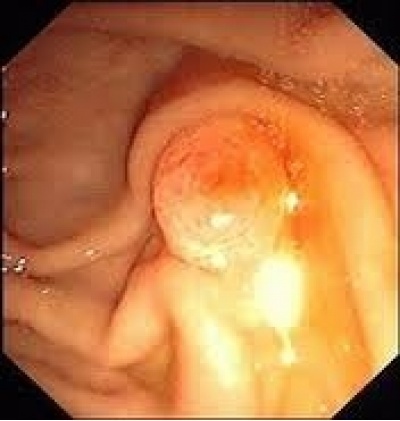 In the duodenum a small opening is identified (ampulla) and a small plastic tube (cannula) is passed through the endoscope and into this opening. Dye (contrast material) is injected and X-rays are taken to study the ducts of the pancreas and liver. ERCP is most commonly performed to diagnose conditions of the pancreas or bile ducts, and is also used to treat those conditions. It is used to evaluate symptoms suggestive of disease in these organs, or to further clarify abnormal results from blood tests or imaging tests such as ultrasound or CT scan. The most common reasons to do ERCP include abdominal pain, weight loss, jaundice, or an ultrasound or CT scan that shows stones or a mass in these organs. Your stomach must be empty, so you should not eat or drink anything for approximately 8 hours before the examination. Your surgeon will be more specific about the time to begin fasting depending on the time of day that your test is scheduled. Your current medications may need to be adjusted or avoided. Most medications can be continued as usual. Medication use such as aspirin, Vitamin E, non-steroidal anti-inflammatories, blood thinners and insulin should be discussed with your surgeon prior to the examination as well as any other medication you might be taking. It is therefore best to inform your surgeon of any allergies to medications, iodine, or shellfish. It is essential that you alert your surgeon if you require antibiotics prior to undergoing dental procedures, since you may also require antibiotics prior to ERCP. You will be monitored in the endoscopy area for 1-2 hours until the effects of the sedatives have worn off. Your throat may be a little sore for a day or two. You will be able to resume your diet and take your routine medication after you leave the endoscopy area, unless otherwise instructed. Your surgeon will usually inform you of your test results on the day of the procedure. Biopsy results take several days to return, and you should make arrangements with your surgeon to get these results. The effects of sedation may make you forget what you were instructed after the procedure. Call your surgeon’s office for the results. ERCP is safe when performed by surgeons who have had specific training and are experienced in this specialized endoscopic procedure. Complications are rare, however, they can occur. Pancreatitis due to irritation of the pancreatic duct by the X-ray contrast material or cannula is the most common complication. A reaction to the sedatives can occur. Irritation to the vein in which medications were given is uncommon, but may cause a tender lump lasting a few weeks. Warm moist towels will help relieve this discomfort. If your ERCP included a therapeutic procedure such as removal of stones or placement of a stent (drain), there are additional small risks of bleeding or perforation (making a hole in the intestine). Blood transfusions are rarely required. It is important for you to recognize the early signs of possible complications and to contact your surgeon if you notice symptoms of severe abdominal pain, fever, chills, vomiting, or rectal bleeding.